I’m back to one of the most familiar city i’ve been visiting again! Almost losing my counts of visiting Hong Kong, but still there is so much more so see and explore in this busy city! This round, it is for the most beautiful season of the year! I really love the weather in Hong Kong during year ends, not too cold and so chilly. Christmas is the season to be jolly! 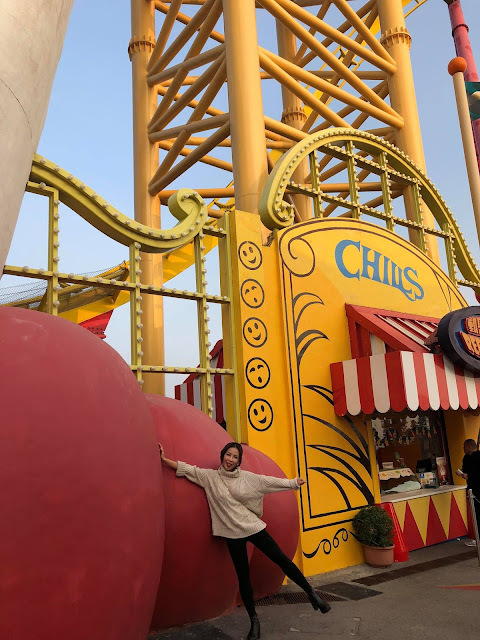 If you have no idea where to go this season and are looking for something different to do, read on and mix up the usual festivities here where i’m about to share with you guys! 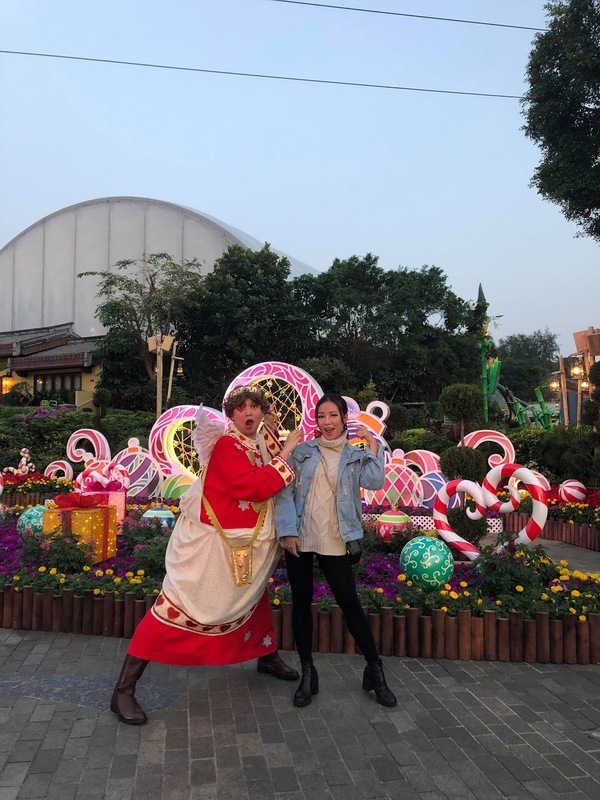 Well, i know Hong Kong certainly isn't a traditional Christmas destination but Ocean Park has bring Christmas Sensation to another level. 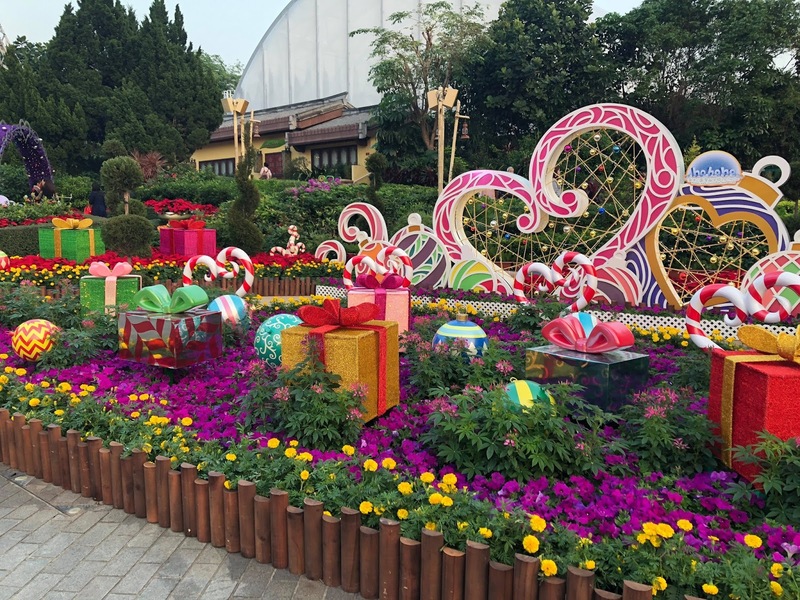 Whether you are into Christmas bazaar, sight seeing, or a theme park person. This is a place where you should go when you are in Hong Kong. With the 40-foot tall Christmas Tree behind me. 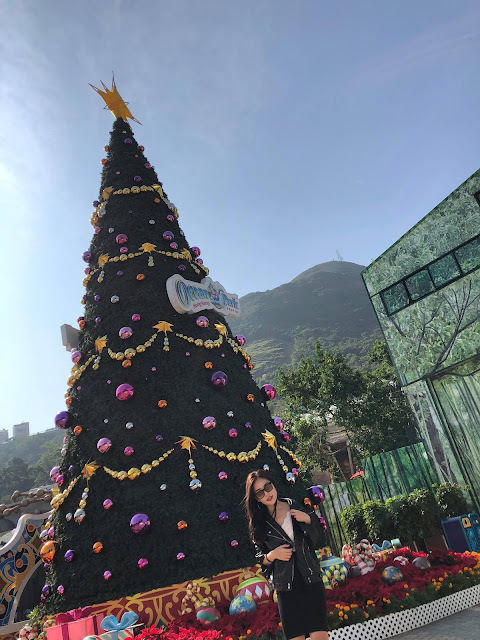 Ocean Park Hong Kong go all out to deck their parks in trees, lights, Christmas decorations and artificial snow. You can also expect Santa to make an appearance for photo opportunities. While Santa is too busy, i found cupid! 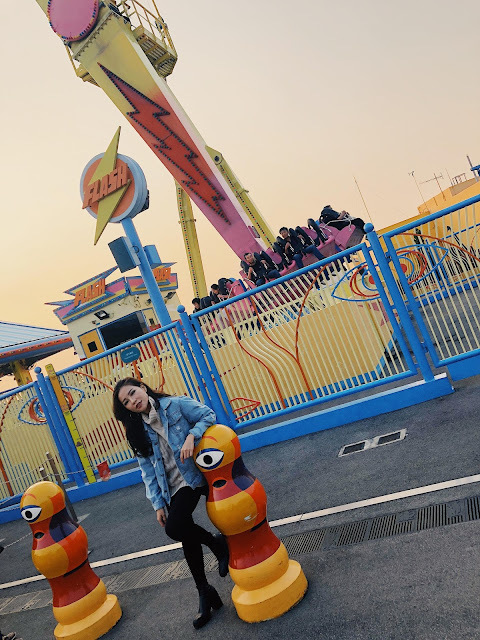 This is my second time visiting Ocean Park Hong Kong, the first time was like more than 10 years ago. I can’t really remember how it was so i guess it is about time to pay a visit again this time! 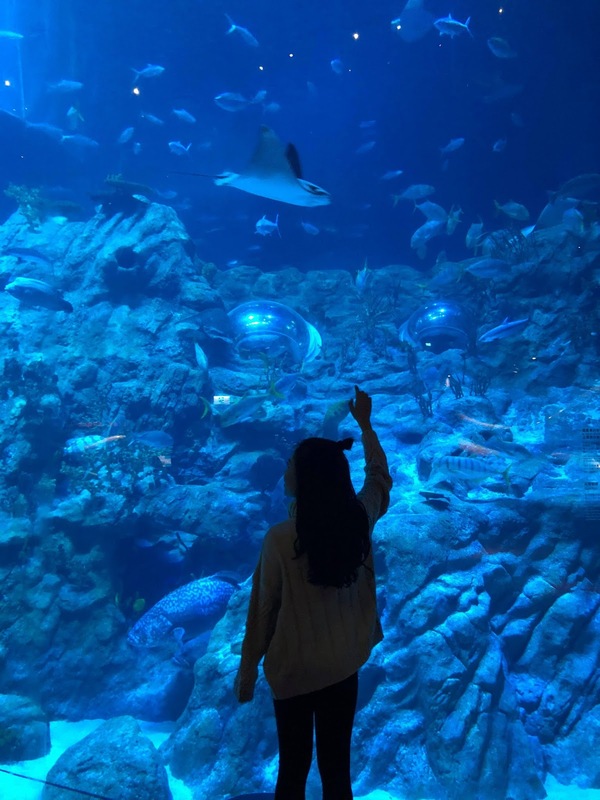 Did you know Ocean Park Hong Kong is an amusement park, a marine park, an oceanarium and an animal theme park all in one? Ocean Park is a large amusement park on Hong Kong Island split into two by a mountain. Tips : Remember to grab a map once you enter the park! 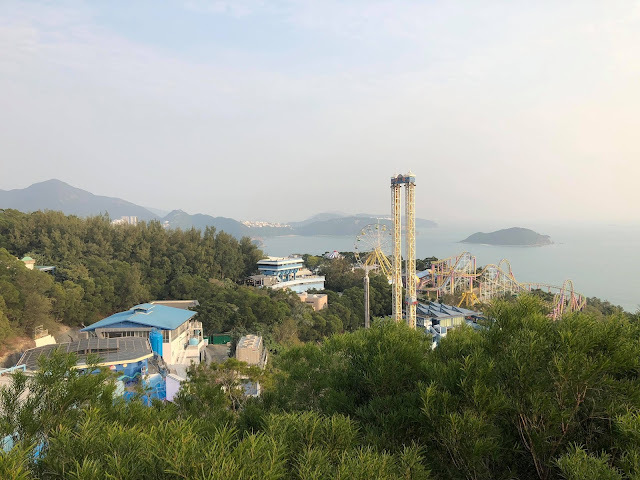 How to Get To Ocean Park Hong Kong Using MTR? One of my favourite part of the park is probably the ‘Old Hong Kong’ which is modelled on the streets of 1950s Hong Kong. 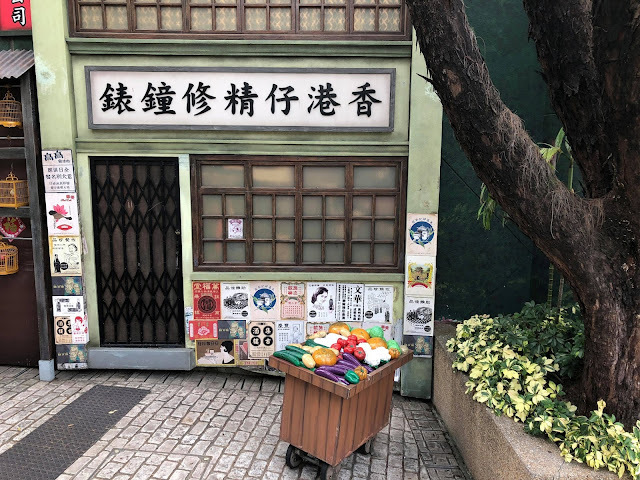 Stepping into Old Hong Kong, on the other hand, is like transporting back in time and getting a huge dose of nostalgia, experiencing Hong Kong between the 50’s and 70’s. 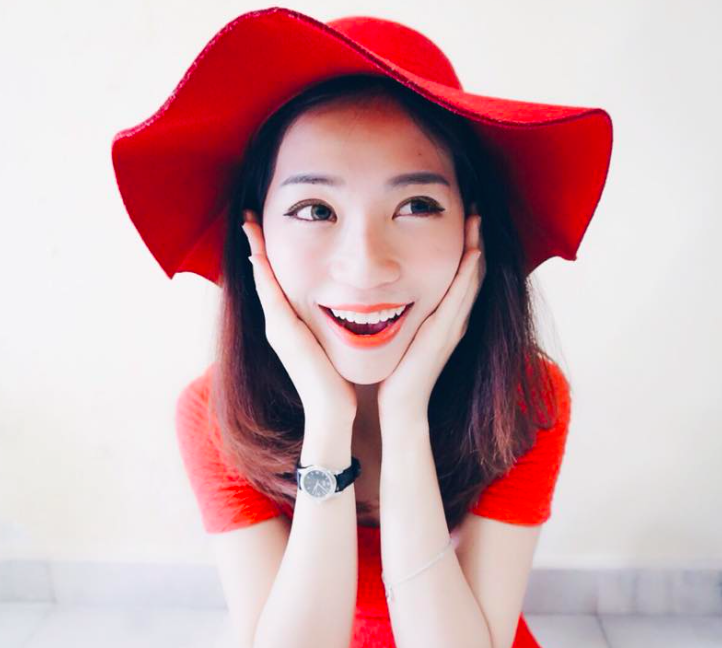 It is great for photo opportunities, very instagrammable. Love every corner of this place! The Grand Aquarium is one huge attraction in Ocean Park Hong Kong where guests have the chance to get up close with roughly 5,000 fishes in over 400 species. If you are traveling with kids, remember to bring them in! They will be super excited about it for sure. After the photos, it is time to go for the rides! There’s many great rides at Ocean Park. I can’t manage to try all of them but i did tried some interesting one! This year, Ocean Park Christmas Sensation 2017 launches Hong Kong’s first ever virtual reality rollercoaster, Mine Train presented by Samsung Gear VR, by adapting virtual reality technology to the amusement ride and offering guests a brand new stunning VR experience that synchronises virtual movement to real motion. All thanks to the technology, we can now enjoy rollercoaster in a whole new experience. 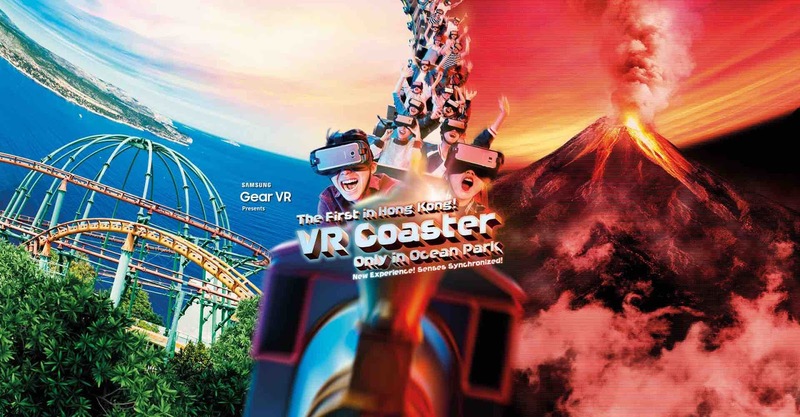 This Hong Kong's first-ever VR rollercoaster, is really unlike the rides i’ve ever tried! I’m so glad i tried it. It is so much more fun and exciting. 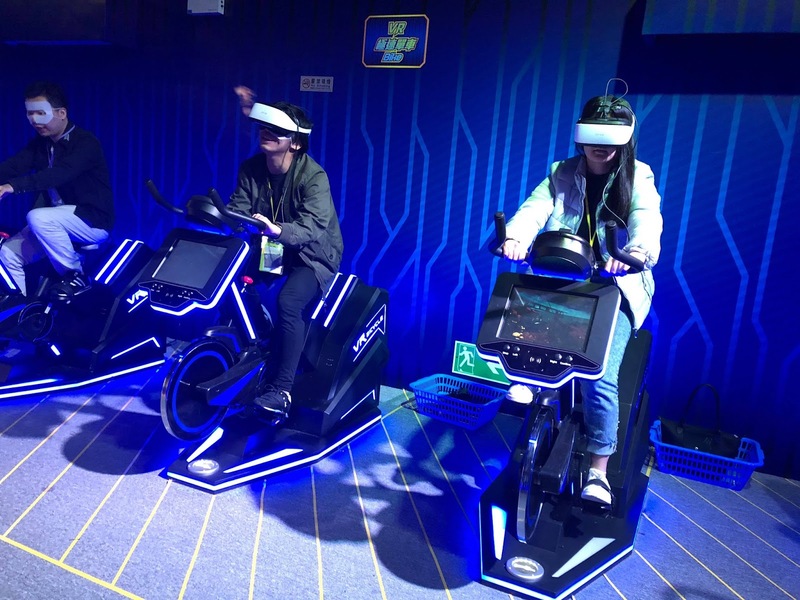 The amusement ride is upgraded by way of adapting VR technology to a rollercoaster, offering guests a brand new stunning VR experience that synchronises virtual movement to real motion. After putting on special VR headsets with attached Samsung GALAXY smartphones on the Mine Train, guests will begin their ultra-realistic journey in the Amazon rainforest through the vivid screen of GALAXY smartphones. Equipped with a 101-degree field of view, Gear VR allows us to enjoy the 360-degree video in first person view.You can come face to face with amazing animals living in the rich biodiversity of the Amazon rainforest, while experiencing the sensations of the highest speed at 71 kilometers per hour and gravitation forces as the train rockets up and down along the tracks. It is officially launched now! 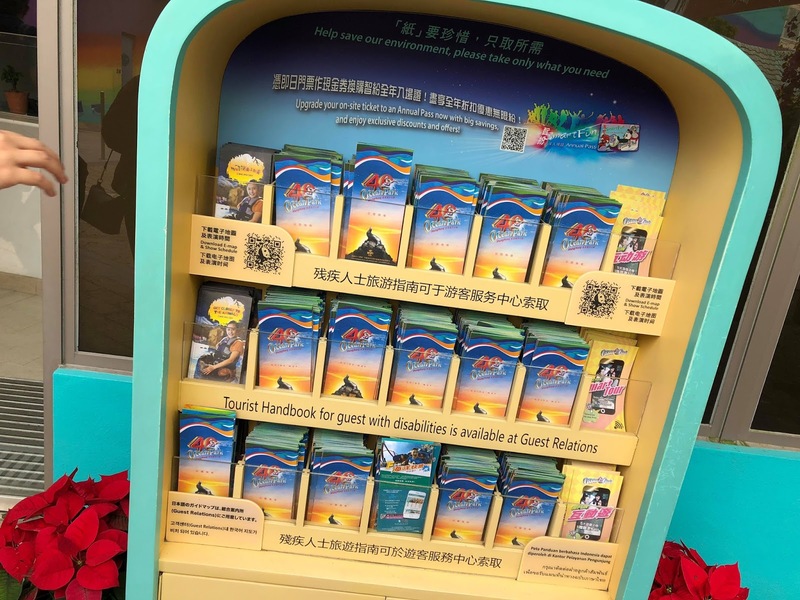 Feel free to try it out if you happen to visit Ocean Park Hong Kong. 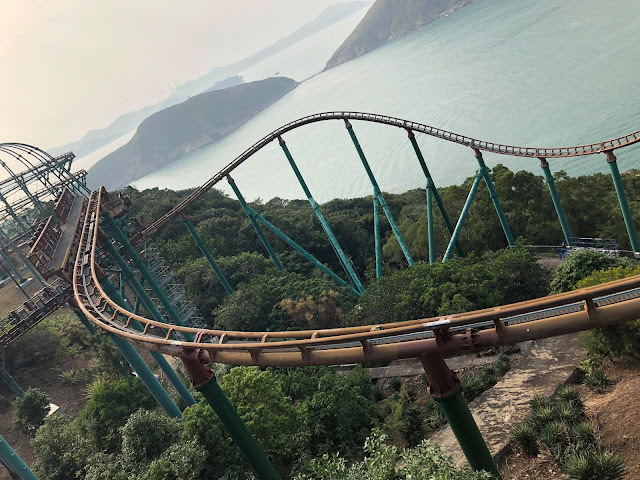 So if you’re not travelling over to China whilst you’re in Hong Kong, and you would like to see a real Panda, Ocean Park is the place you should visit. 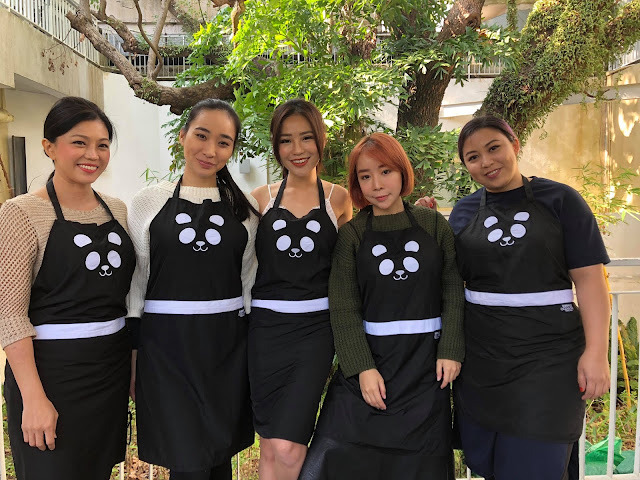 During this visit, We also joined the Meet the Giant Panda Programme, where we can have access to enjoy an up-close encounter with the giant pandas, help prepare snacks for them. With the team, after meeting the Giant Pandas. 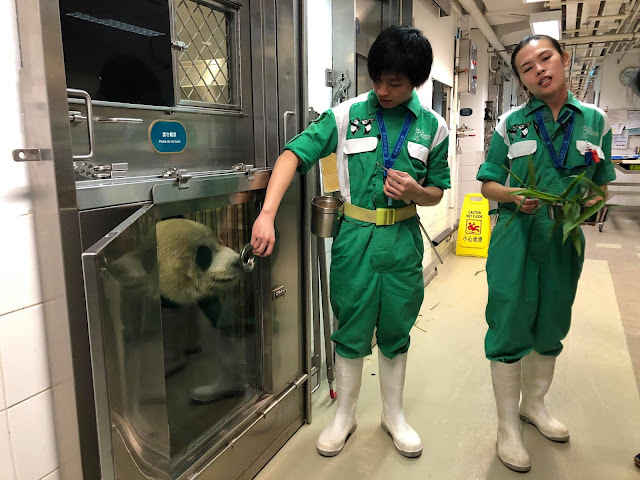 Preparing food for the Giant Pandas. They are so adorable! Wish we could spend more time in there. 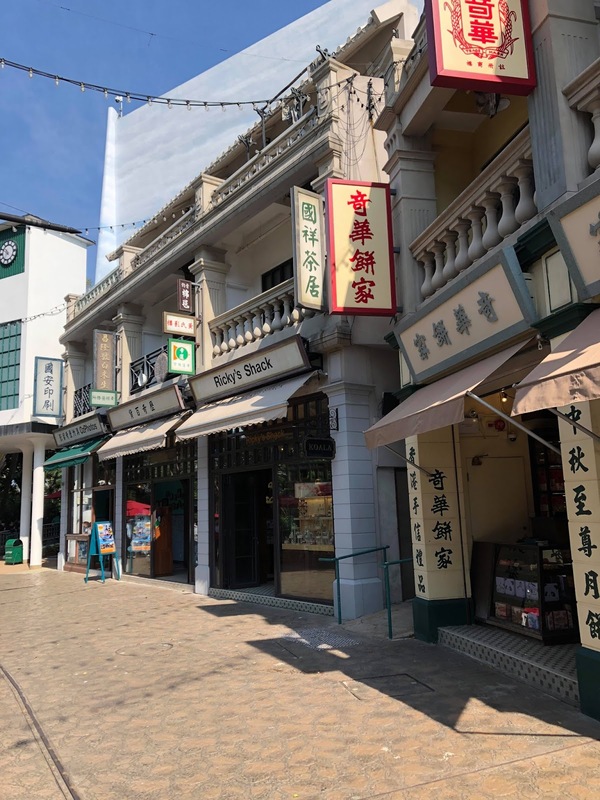 You might also want to consider staying at a hotel that is located nearby Ocean Park Hong Kong. In case you’re on the lookout for one, check out the hotel that i’m stayed during this trip - L’Hotel Island South which offers shuttle service to Ocean Park regularly. It also happens to be a mere 15-minute walk away from the theme park.